There's no good reason why Charlotte has to stay locked up at the Lux now. Is she planning a night out on the town? Despite all of his troubles, it's nice to see Amenadiel is still smiling. Who can be on the other end of his smile? Okay. 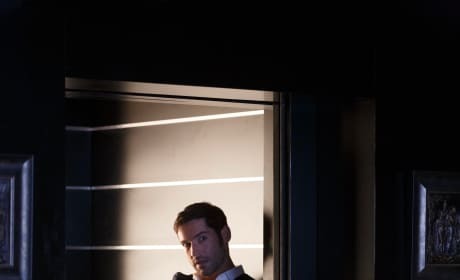 This has to be one of the sexiest poses we've seen of Lucifer so far. Is he looking at Chloe, or is there another lucky lady in his sights? 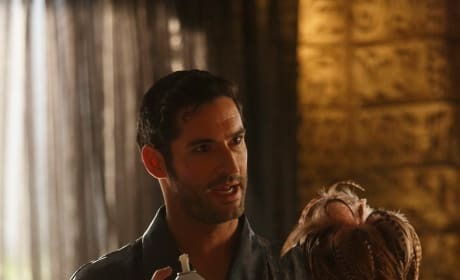 Has Lucifer changed careers from club owner to club housekeeper? Does he even know what he's doing? We can't wait to see the story behind this one. Charlotte looks like your typical mom with her hands on her hips. 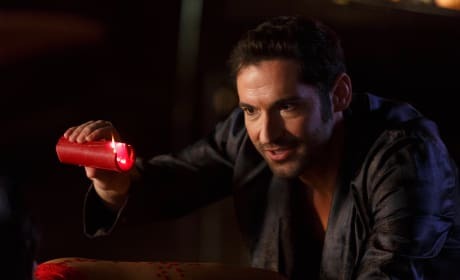 What has Lucifer done? 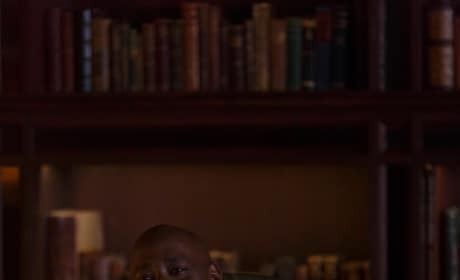 Or is Amenadiel finally in trouble now, too? Ella is on the scene to take care of all the details the team will need to solve the case. Even Ella looks disturbed at what's been found. 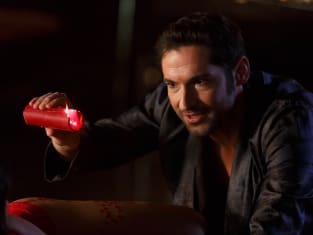 It looks like Lucifer and Chloe have come upon something pretty gruesome. Even Lucifer looks shocked. Is this murder one or murder two? Chloe has someone's phone in her hands. Is it the murder victim's or is it a clue left behind by the killer? What is Charlotte really up to? 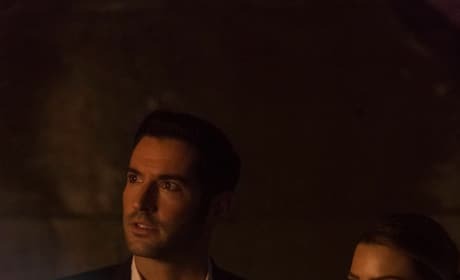 Does she really want to make amends with Lucifer, or is there something more sinister at play here? Lucifer looks like he's performing some sort of ritual. Is he trying to send mum back to hell, or is he trying to help Amenadiel get back his powers?